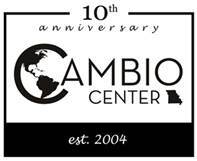 This fall, MU’s Cambio Center celebrates 10 years of research and outreach on Latinos and changing communities in Missouri. The center invites you to learn more about its research and its Fellows’ research. See the 10 Year Anniversary flyer. Latino children from immigrant families are one of the fastest growing groups in the US, yet they typically enter public school systems that lack funds and struggle to provide equitable educational experiences for all. Not addressing this issue will result in challenges in the future of our country. It’s critical to understand the challenges that face Latino youth, as well as the positive developmental opportunities that they have. This panel will present research, policies, and best practices to understand and enhance Latino youth’s well-being and success in U.S. schools. Research from the 1990s suggests that 10- 20% of foreign-born youth experience interrupted schooling in their home countries that leaves them woefully unprepared for age-appropriate U.S. grade-level content. Large-scale research on foreign-born youth with interrupted schooling, however, is limited. This research uses data from the Educational Longitudinal Study to estimate the percent of foreign-born youth with interrupted schooling, assess schools’ placement decisions, and evaluate these youth’s academic outcomes. 4. Missouri Health Literacy Enhancement Demonstration Project. Free and open to the MU community and the public. Please contact the Cambio Center for any accessibility needs. The MU Cambio Center leads research and outreach on Latinos and changing communities. The Mission Statement guides the Center's work to help understand the demographic changes in our communities and to provide knowledge and best practices to facilitate a smooth integration of newcomers and immigrants of all backgrounds. Our Fellows and Student Fellows work in diverse fields to understand these complex, multifaceted changes, and to contribute to community wellbeing. We provide services such as organizing the annual Cambio de Colores Conference, creating publications for non-specialist audiences, and providing translation through the Language Services Program. Donate to the Cambio Center Student Research Fund. The Cambio Center is one of the International Programs at MU. The Cambio Center is supported by the MU Vice Provost for International Programs, and also receives funding from the College of Agriculture, Food and Natural Resources (CAFNR) and the College of Education. © 2018 - Curators of the University of Missouri. All rights reserved. DMCA and other copyright information. An equal opportunity/access/affirmative action/pro-disabled and veteran employer.